I wouldn’t say the selections in my top twelve are all mainstream, but they were chosen with a certain type of reader in mind, which led me to rule out a couple of more off-beat writers. One of the most bizarre selections from the Dalkey Archive Library of Korean Literature was Haïlji’s novel The Republic of Užupis (translated by Bruce & Ju-Chan Fulton), a mind-bending work in which a man seeks to find the country of his birth. 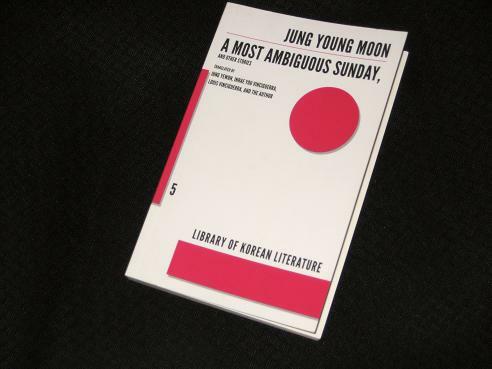 It’s just a shame, then, that it doesn’t seem to exist… Speaking of bizarre, Jung Young Moon’s circular style of writing might not be to everyone’s taste, but those willing to let themselves go in his whirl of words might find his story collection A Most Ambiguous Sunday (tr. Louis & Inrae You Vinciguerra and Jung Yewon) to their liking. And if you enjoy that, why not try a couple of novels that have recently appeared in English, Vaseline Buddha (tr. Jung Yewon) and A Contrived World (tr. Jeffrey Karvonen & Mah Eunji)? However, there are slightly more orthodox writers who didn’t make my list. Cho Chongnae is an extremely popular writer of multi-volume epics (not available in English), and while he’s not the best stylist around, he does choose some interesting topics. How in Heaven’s Name is a short novel tracing the unbelievable journey of some Korean soldiers in World War Two, following them from Korea to China to Russia and beyond. Meanwhile, The Human Jungle is a three-part work, released as a single volume in English, providing a Korean view on China’s modern economic miracle. Another big name of post-war Korean writing is Hwang Sunwon, and while he’s perhaps best known in English for his short stories (including the oft-translated piece ‘A Passing Shower’/’Shower’/’Cloudburst’), novels like Trees on a Slope and The Moving Fortress are also worth a read (all of these books have been translated by the indefatigable Fultons). 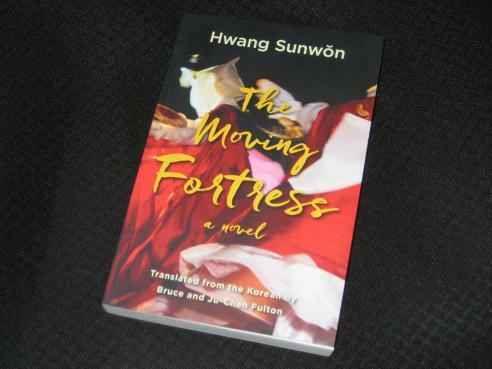 A popular form of literature in Korea is the linked short story format, and I’ve read two lauded examples of the genre, which both deal with the negative side of the country’s rapid economic expansion in the decades after the Korean war. Cho Se-hui’s The Dwarf (tr. Bruce & Ju-Chan Fulton) is a classic collection, outlining the hardship faced by the lower levels of Seoul society, represented in one ‘little man’, the dwarf of the title. Cho describes the country’s inequality graphically, and while in Yang Gui-ja’s A Distant and Beautiful Place (tr. Kim So-young and Julie Pickering) the characters are slightly better off, the residents of the writer’s imaginary suburb still get the raw end of the deal when it comes to life in the big city. Another area I largely neglected in my original posts is ‘classic’ (i.e. colonial-era) literature, as few of the books I’ve sampled from this period would make good starting points for the novice reader. 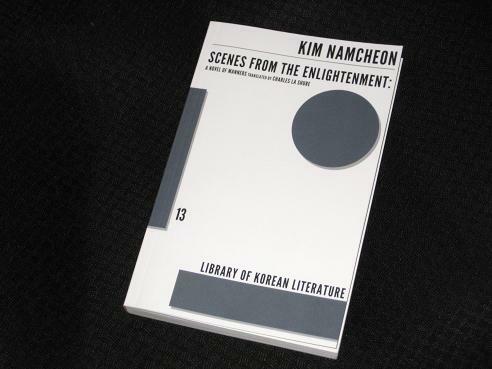 A couple of more readable selections are Kim Namcheon’s Scenes from the Enlightenment (tr. Charles La Shure), an excellent Hardyesque tale of a family in a country town, and Yi Sang’s bizarre novella/long story Wings (tr. Walter K. Lew and Youngju Ryu), the tale of a hen-pecked, slightly crazed writer who rarely shows his face in public. 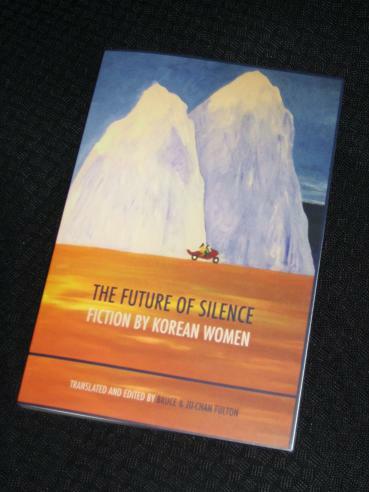 Kim’s book is yet another from the Dalkey range, while Yi’s story is available in the Modern Korean Fiction collection. Finally, if all else fails, you can just forget the names and let the publishers do the talking. 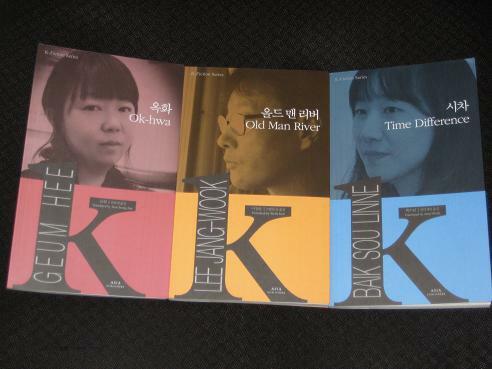 While the Jimoondang Portable Library of Korean Fiction no longer appears to be readily available, you can still pick up some of the twenty-five short books online (or stumble across them in university libraries…), but the two collections from ASIA Publishers – the older Modern Literature titles and the newer K-Fiction series – can all be bought on Amazon, even if not everyone will benefit from short stories with parallel Korean text. 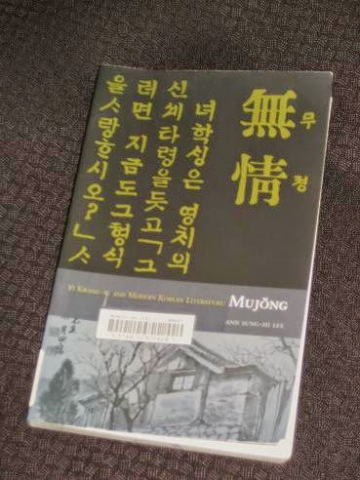 Of course, for most English-language readers, a much easier introduction to Korean literature is provided by Dalkey’s Library of Korean Literature. 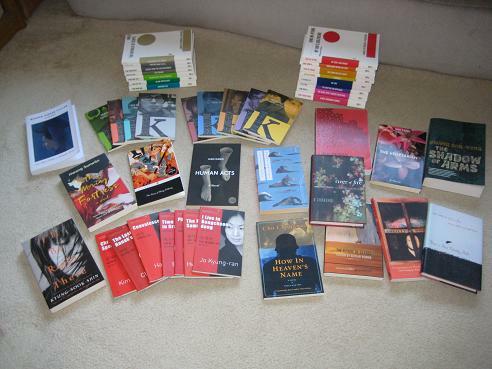 Despite some issues with the series (a couple of the books suffer from poor translations and proofreading, and the titles haven’t really been publicised as much as, I suspect, LTI Korea would have liked), it’s hard to go past the collection (twenty-six books to date) as an easy first step for the average reader. Marje – Well, I’m sure she’ll find something here if she wants to read (sorry – no dramas mentioned here!). Glad to see you doing this series of posts, Tony. I started exploring Korean literature after reading several of your reviews, so let me use this opportunity to thank you for the time, enthusiasm and good humor you put into your blog. O Chong-hui, Jung Young-moon, Jang Eun-jin were all great discoveries, and I also quite liked Park Wan-suh 🙂 (short story “In the Realm of the Buddha”). Hong Gildong, Ch’oe Yun and Yi Mun-yol are all in plans too.